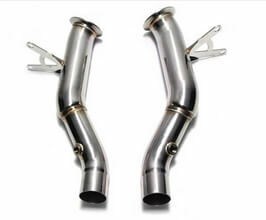 The ARMYTRIX exhaust system increases power, reduces weight, and improves sound. Precision-made performance delivers more power especially in low-mid rev ranges. Adds a deep sporty sound, while at the same time neutralizing annoying frequencies in the most critical rpm range. For Racing Competition only and is not legal for use in highway or street vehicles. Purchasing this product requires you to sign Vehicle Compliance Waiver.